Steve Foster has resigned as first team manager, along with his assistant Tony Armitage. Steve was scheduled to leave the club at the end of the current season, but following a string of poor results and difficulty in getting a settled side he has decided to go now, with three matches of the campaign remaining. Steve joined us in January following the departure of Luke Capon and initial results were encouraging with just one defeat from his first three games in charge. Then came a period of weather-enforced postponements, and a 9-0 defeat at home to Standon began a run of 9 consecutive defeats, some of which were very severe. Despite the results Steve managed to remain positive but Saturday's 11-1 demolition at Bovingdon was the straw that broke the camel's back. The club would like to thank Steve and Tony for their efforts over the last few months and we wish them well for next season when they will be managing Southill Alexander FC. 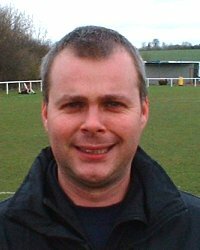 Laurence Salmon, our reserve team manager, will be looking after Town's first string for the remaining 3 matches of the season.